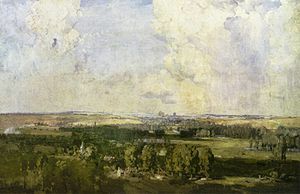 The Battle of Amiens (also known as the Third Battle of Picardy (French: 3ème Bataille de Picardie)), which began on 8 August 1918, was the opening phase of the Allied offensive later known as the Hundred Days Offensive that ultimately led to the end of World War I. Allied forces advanced over seven miles on the first day, one of the greatest advances of the war. 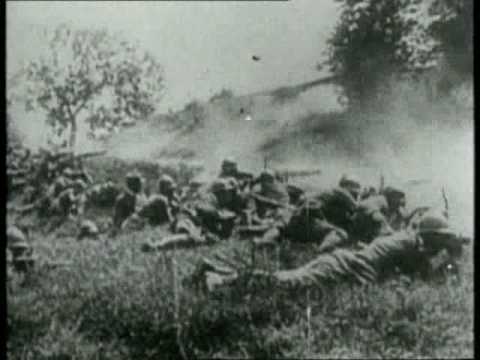 The battle is also notable for its effects on both sides' morale and the large number of surrendering German forces. 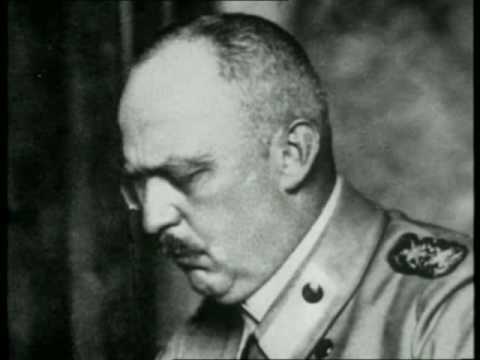 This led Erich Ludendorff to describe the first day of the battle as "the black day of the German Army." 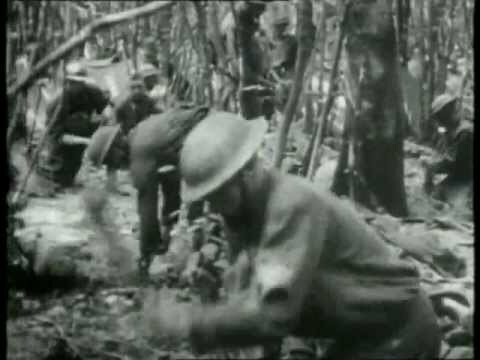 Amiens was one of the first major battles involving armoured warfare and marked the end of trench warfare on the Western Front; fighting becoming mobile once again until the armistice was signed on 11 November 1918. Tensions quickly exploded between Haig and French. Haig and Lord Kitchener, who was now Secretary of State for War, clashed with French over the positioning of the BEF. 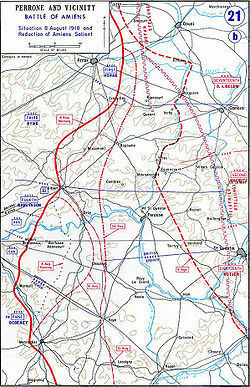 French argued to the war council that it should be positioned in Belgium, where he had confidence in the country's many fortresses, while Haig and Kitchener proposed that the BEF would be better positioned to counter-attack in Amiens, stating that the BEF would have to abandon its positions in Belgium once the poorly-equipped Belgian Army collapsed, forcing the BEF into retreat with the loss of much of its supplies. 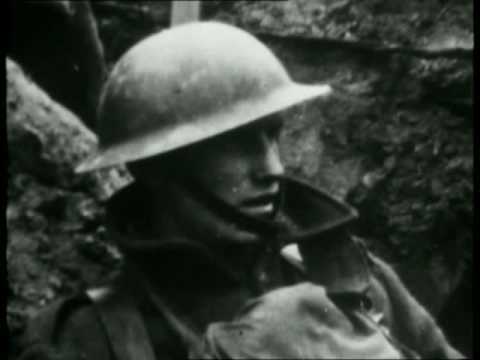 During a royal inspection of Aldershot, Haig had told King George V that he had "grave doubts" about French's military competence.